Directions: Humphrey Street To Redington. This one will charm your socks off! 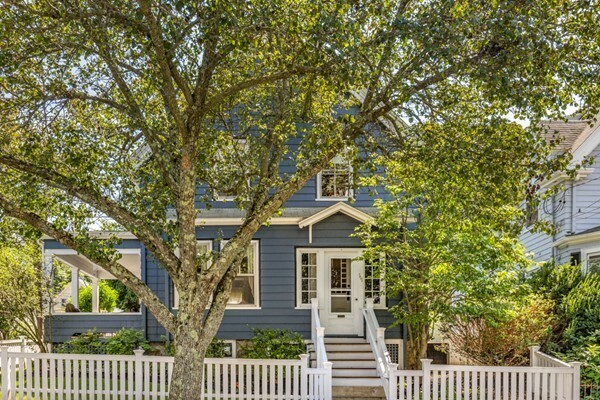 Delightful, updated 1893 Country Victorian in Olmsted District An abundance of detail with modern conveniences; central air, newer systems, first floor family room, lovely Beacon Hill yard with many perennial plantings. Potential for expansion upstairs to create a master suite. Close to library, beaches, commuter rail and shopping. Inviting porch for enjoying the neighborhood! It even has a garage. This one won't last.. American Home Shield home warranty included..